Our aim is to make sure our customers are 100% happy with their purchase and to ensure that it arrives in perfect condition. If you are unhappy with your order, we will refund your order or exchange your product within 14 days of when the order was delivered. However, we must be notified within 7 days of when the order is delivered that you will be returning and accept the pay the cost of returning the product. Refunds will only be issued including shipping costs if they were delivered in error, defective or badly damaged. Please note for certain products that we have marked on our website as: ‘Warning these bottles may leak when shipping, therefore, shipping is at the buyers risk’, refunds for damages will not be issued. Refunded orders must be returned in the original packaging and in good condition for the refund to be granted. Refunds will be processed within 14 days of receiving the product(s). In some cases where products have been bought at auction, the product might not be new and in 100% perfect condition so please take this into consideration. Images on our website are their for illustration only and might not be an exact representation of the product – for example auction products, discontinued products, batch numbers, vintages – these are all subject to change. We will do our best to inform you if this is the case. You can cancel your order but this must be done in email within 12 hours of purchasing. If the product has been delivered, you must return the product to us for it to be cancelled and you will be reimbursed. Unless the product is damaged and/or defective you will be responsible for the full cost of returning the product (inc shipping bothways) and ensuring it arrives in the original condition it was received. 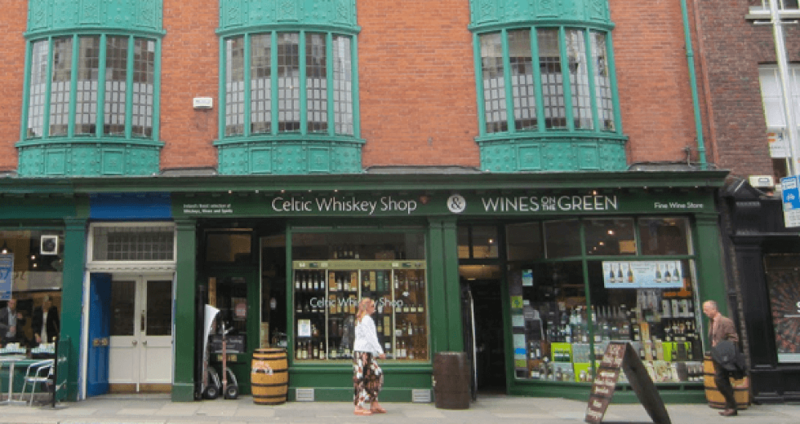 You have legal responsibility of the product until it is returned to Celtic Whiskey Shop. Should the products have evidence of any tampering, Celtic Whiskey Shop has the right to ask for compensation. You are responsible for returning your order to Celtic Whiskey Shop unless they were already damaged or defective. 1. Return a copy of the invoice highlighting the return items and Please write the reason for returning and the quantity. 2. Please put the order and invoice in the original packaging as tightly and securely as possible to ensure minimal damage from transit. 3. Fix our address on the packaging and ensure no other addresses are visible.